GM Employees celebrated GM’s now 71 natural wildlife habitats by submitting their local photos for the company’s annual calendar. 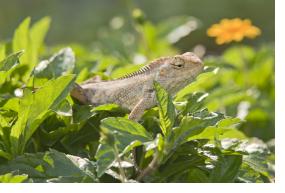 Anupam Mondal spotted this oriental garden lizard basking in the sun outside of the Parts Distribution Center in Talegaon, India. Maven Gig provides cars for freelancers to earn money however they want. More than two-thirds earn by driving for multiple apps like rideshare or delivery services. Maven Gig allows members to easily take advantage of the gig economy without worrying about owning a car. 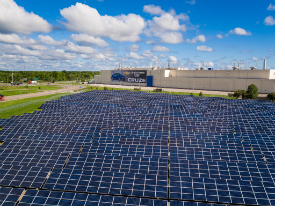 : A 2.2 megawatt solar array powers 1.5 percent of GM’s Lordstown assembly plant in Ohio, the home of the Chevrolet Cruze. GM’s automotive industry-first commitment to sourcing sustainable natural rubber in its tires will help drive the industry toward net-zero deforestation and uphold human and labor rights. For General Motors, 2017 was a year of both long-term aspirations and short-term progress. The company declared its vision of zero crashes, zero emissions and zero congestion. Transformative mobility developments took place in areas such as connectivity, car- and ridesharing, and electric and autonomous vehicles – keys, it believes, to unlocking a more sustainable future. 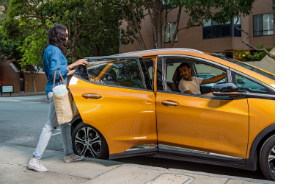 During this time, GM said the future is electric, announced plans to commercialize self-driving vehicles by 2019, and integrated EVs into its Maven ridesharing program to deliver 3 million carbon-free miles. 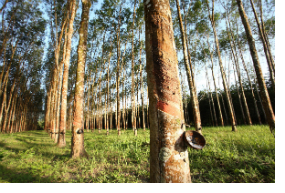 From an operational standpoint, the company continued to turn water bottles into car parts, secured deals to build more vehicles with wind energy, and collaborated with suppliers to address the social and environmental impacts of rubber sourcing. Here are 10 stories that show how the company is striving to drive sustainability through mobility, manufacturing and its mindset. Find out more at GM’s sustainability report and blog.